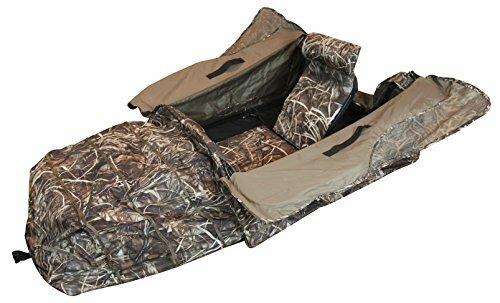 Beavertail Big Gunner Layout Blind, Max-4 – Can You See Me Now? Best Ground and Treestand Hunting Blinds, Can You See Me Now? 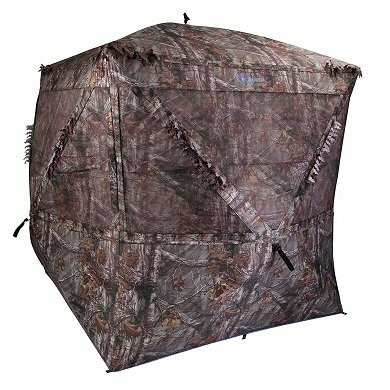 For water fowlers who are in need of both a hideout and ergonomic support, the Beavertail Pro Gunner Layout Blind keeps you concealed and comfortable until it’s go time. Contoured to support your head and neck, the blind possesses the spring-loaded Lift-Assist Backrest with two settings – a subtle lift or an amped up angle to quickly get you into position. You will also rest easy on closed-cell non-absorbing seat pads. Durable polyethylene and aluminum square-tube frame construction withstands the test of time. Adopting the bigger is better method of design, this layout blind features increased elbow, chest and leg space with larger doors, face and mesh area all while maintaining a sleek profile. Can You See Me Now? Copyright © 2019.